Deze prachtige enkel verhaal zwembad huis heeft een prachtig uitzicht op de PGA West Citrus Golf Course. Geniet van het nieuwe zwembad en spa met een prachtig uitzicht op meer dan 80 meter van de golf-actie voor privacy. Dit huis heeft twee master suites met elk hun eigen open haard. Een grote kamer naast de prachtige gastronomische keuken. De achtertuin heeft een nieuw zwembad en spa, ingebouwde BBQ, vuurkorf en de voortuin heeft een eigen binnenplaats. Dit huis heeft vier slaapkamers, elk met hun eigen LED-televisie. Beide meesters hebben California King size bedden, de andere twee slaapkamers hebben koninginnen. De familiekamer heeft een muur van ramen die uitkomt op de achtertuin. Er is een groot scherm met surround sound-systeem. Cruise de poort bewaakte Citrus Country Club met de 4-persoons golfkar voorzien. Er zijn ook 4 cruiserfietsen om het terrein van de Country Club te verkennen, verse citroenen, sinaasappels en grapefruit die overvloedig zijn bij de Citrus te plukken. Oude stad La Quinta ligt op ongeveer een mijl fietsen rijden, daar kunt u ontbijten of lunchen, drankjes, ijs en winkelen bij verschillende lokale winkels. Er is een gloednieuwe vuurplaats die zit net buiten het zwembad. Groot hoofdbad met inloopdouche, bubbelbad. Our 6 weeks at Kevin’s property in La Quinta was fabulous. The house is everything that’s advertised and more. Kevin was extremely responsive especially when the pool/spa heater went on the fritz. Citrus is a wonderful community and we enjoyed the proximity to old town La Quinta ... a short bike ride. We’d return to this property in a heart beat. This home is so comfortable with everything needed for a wonderful stay. The location is the best! This house has everything to make your stay the best. You can immediately settle in and take in all that the area has to offer.! 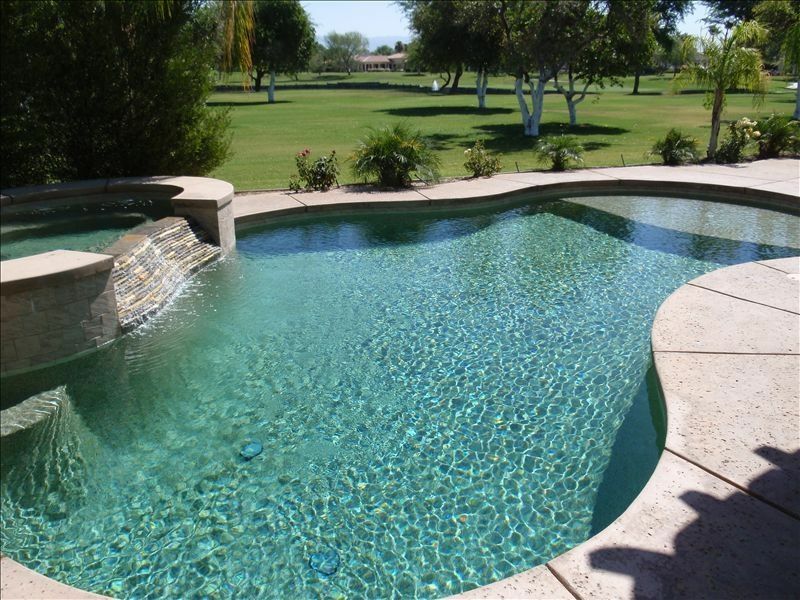 It is a perfect location for any and all activities - golf, tennis, pickle ball or just relaxtbynthe pool. Great property with great owners! You could not find a better home to have an extended in the LaQuinta area. This house needs nothing to be added. The kitchen is incredibly well stocked the views are terrific the service providers that clean pool, take care of landscaping, and remove garbage are excellent: I have stayed in several VRBO homes and this is a 5 Star plus plus home! We had a great time at this location and didn't have any complaints. The host created a book with all the house instructions so we knew how to work everything. We would definitely stay here again. We really enjoyed our stay. The house was very spacious and worked really great for us. The heated pool was wonderful. The bikes were really nice to have to bike to old town la Quinta and the public tennis courts. We had a few issues with the water leaking from the fridge and the owner responded immediately and got someone in to shut it off and then provided some bottled water. I assumed that we would be able to use some of the citrus community facilities however I was wrong. We ended up buying a gym and golf membership. Our stay at this property was absolutely perfect, and exceeded expectations. This property was well appointed and had everything we needed to enjoy our time as a family. The pool , outdoor hot tub and fire pit were a huge hit, and we frequently used them during our stay. This will be our go to place if we stay as a group in the Palm Springs area, the owner , Kevin has a perfect property in a gated community that would satisfy even the pickiest people. Quad racen faciliteit in de buurt.